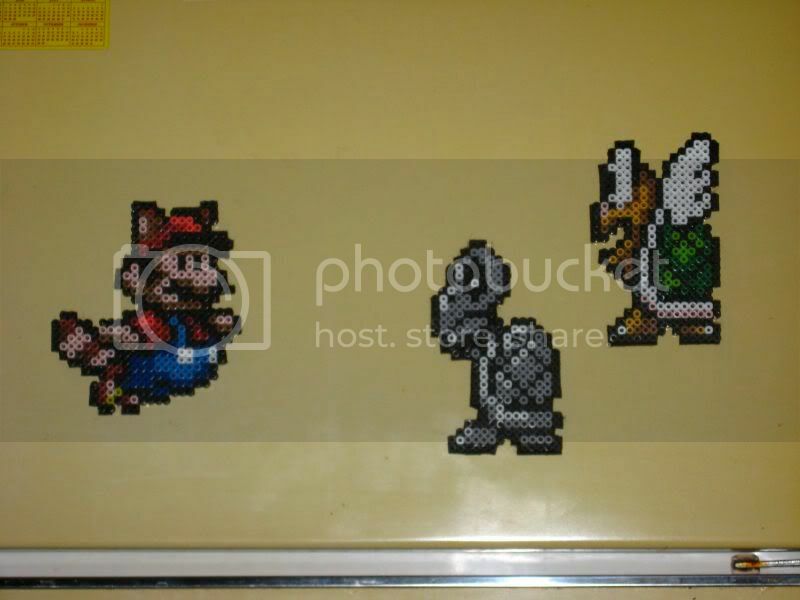 I take video game sprites and hand paint them onto T-shirts. 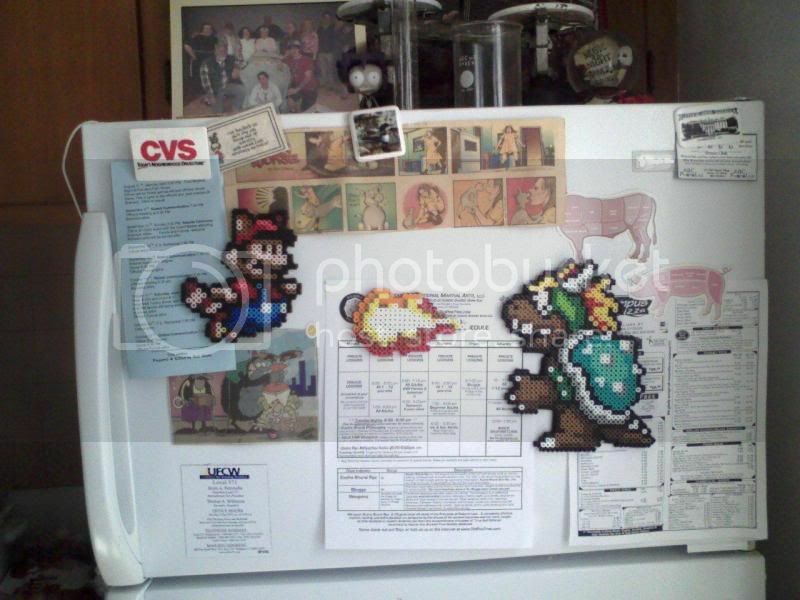 It's rather easy to do but the results are nice - and they make excellent gifts for friends who love 2D games! It seems like I've been doing fewer shirts recently, but this entry is still sprite related! 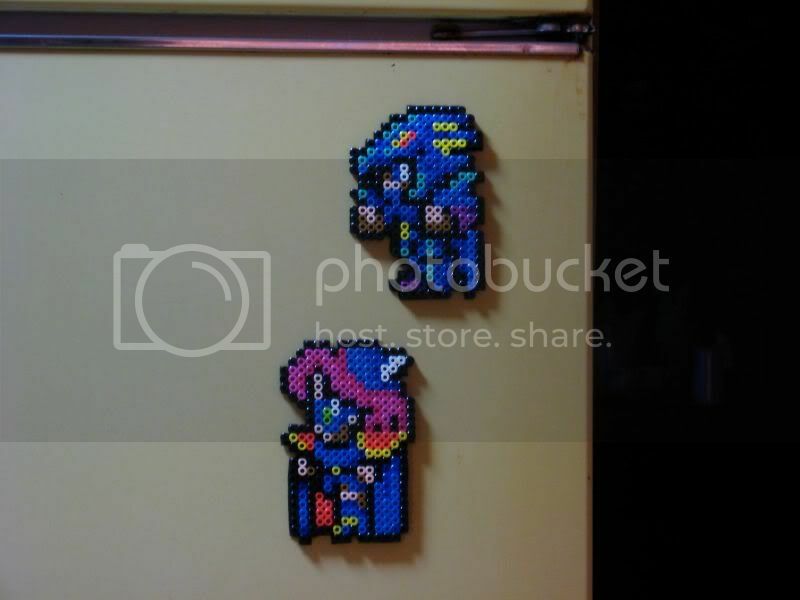 These are magnets made with Perler beads.